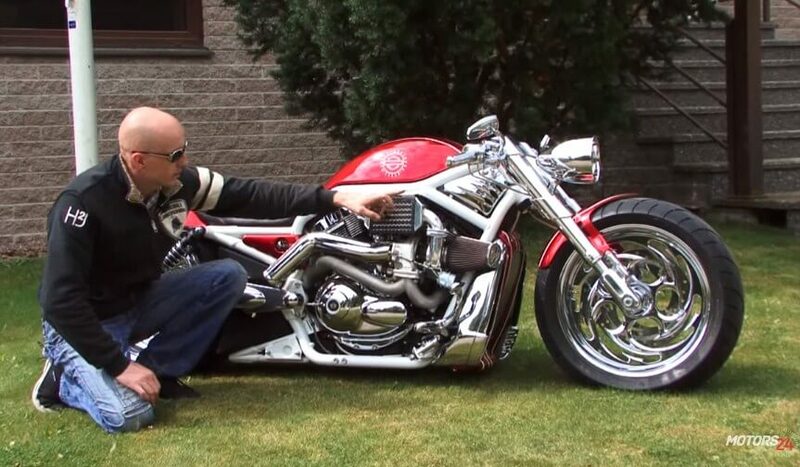 Turbo supercharged Harley Davidson V-Rod is outstanding! Turbo supercharged Harley Davidson V-Rod may be Estonia’s first but, it’s a truly unstoppable force. Harley Davidson is a well-known bike brand that has been around for a long period of time and as such, it has become a true symbol for bikers. Thus, Harley owners are constantly competing with each other over who has the better, faster or the most expensive one. The game is always on. So, when it comes to speed, we may have found the fastest Harley Davidson that’s out there. It has been customized quite well and has a turbo charged engine. The engine of this Turbo supercharged Harley Davidson V-Rod gives power to only one wheel so, imagine what it can do one the road, considering the fact that it has that power and is a lot lighter than a car. However, as said previously, the bike has other parts modified as well. A new, more comfortable seat has been installed, brand new shiny customized handle bars and of course, a customized exhaust for the best sound that has ever been heard on a motorcycle ever. The Turbo supercharged Harley Davidson V-Rod features a brake lock and lots of other things, making it quite different compared to the others that we’ve seen. See it for yourself! Ford F250 Turbo Diesel rescues sinking Hummer with driver still in the car! Project “Black Hawk”, a 1970 Pontiac Firebird Pro Touring built by All Speed Customs! World’s Oldest Motorcycle Riders – Never Give Up On Your Dream!! Iconic movie cars that will be remembered forever!